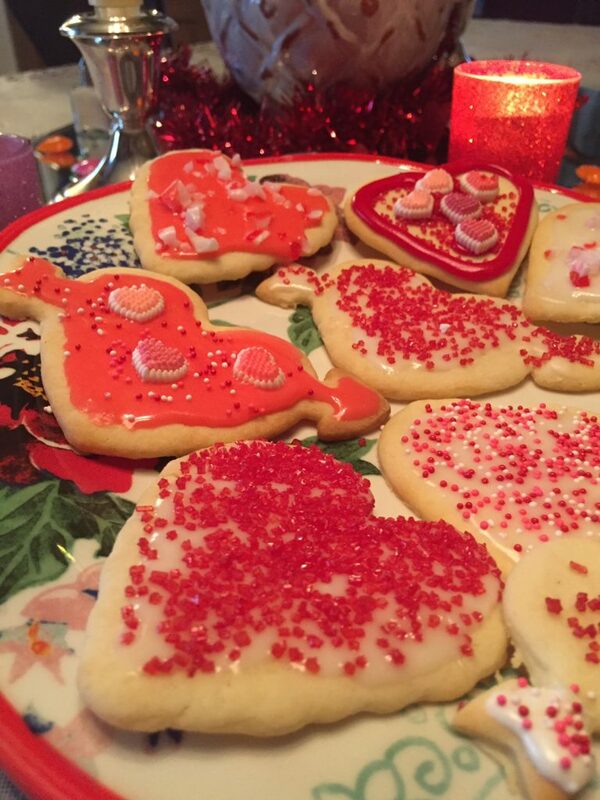 These mouthwatering “Be Mine Valentine” sugar cookies are sure to please during February, the month of love! DIRECTIONS: Cream butter and sugar. Add egg, milk, and vanilla; beat well. Stir flour with baking powder, mace and 1/2 teaspoon salt; blend into creamed mixture. Divide in half. Cover; chill 1 hour. On lightly floured surface, roll each half to 1/8 inch thickness for thin cookies or 1/4 inch thickness for thick cookies. Cut with heart-shaped cookie cutters. Place on ungreased cookie sheet. Bake thin cookies at 375 degrees for 7-8 minutes; bake thick cookies for 10-12 minutes. Makes 3-4 dozen cookies, depending on size. Decorate with colored frosting or sprinkles. Use milk with a small amount of powdered sugar to moisten cookies prior to using sprinkles in place of frosting. This entry was posted in bed and breakfast, bed and breakfast inn, cookie, food, foodie, hearts, recipe, Valentine's, Valentine's Day and tagged cookie, food, foodie, recipe, valentine by admin. Bookmark the permalink.